Of the early railways in South Wales, the first were the lines of the Ironmasters, only one held itself aloof from this trade. The South Wales Railway, godchild of the Great Western was on its way to Ireland and points west; South Wales was merely to be crossed as quickly as possible. It was incorporated in 1845 to construct a broad gauge railway from Gloucester (at that time the nearest railhead for South Wales) to Neyland. 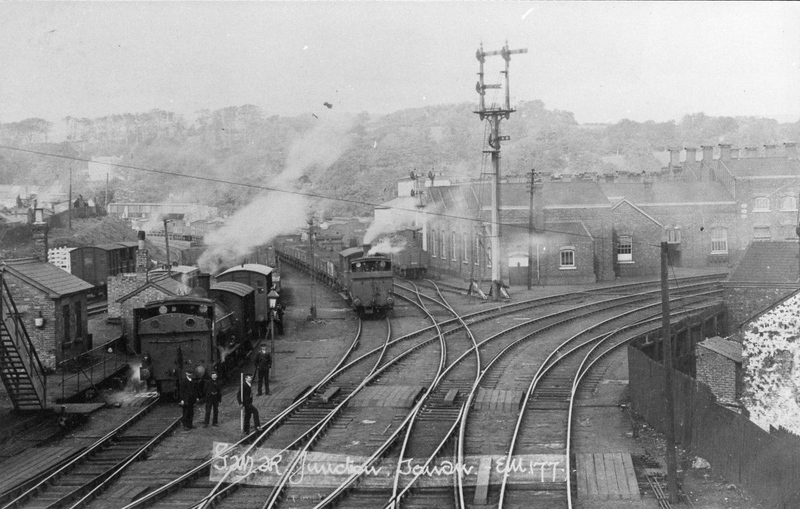 As a consequence rather than its principal aim, it provided South Wales with a main line to Neyland and though never conceived to serve the local industrial interests it was ultimately connected to all the major valleys. The South Wales Railway opened between Chepstow and Swansea in 1850, to Gloucester and Carmarthen in 1852 and finally Haverfordwest (1854) and Neyland (1856). In 1846 saw the handiwork of Brunel the second time in the South Wales valleys when the broad gauge Vale of Neath was authorised to Aberdare and Merthyr from Neath. At the Neath end it made a junction with the South Wales Railway, Brunel's other major work in the area. The Great Western had a long and straggling line across the north to Dolgellau, almost on the coast of Cardigan Bay and from Bala into the mountains at Blaenau Ffestiniog. Before the "Grouping" in 1923, by absorption, amalgamation, purchase or construction, the Great Western within the principality consisted of the following (applicable dates shown). Severn Tunnel and Badminton "cut off"
The Newport, Abergavenny and Hereford Railway started construction of the Crumlin Viaduct in October 1853, opened 1st June 1857. 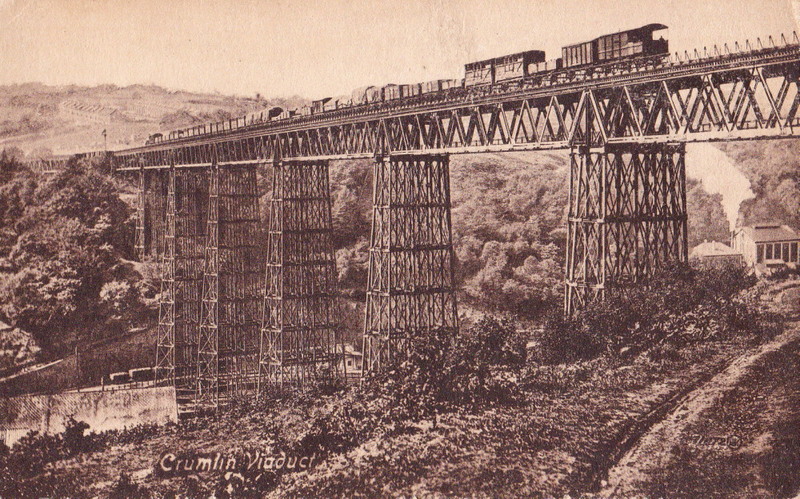 It was the highest railway viaduct in the United Kingdom lasting for 109 years of service until being dismantled in 1967. Two wholly contained traffic districts existed (Newport and Neath) with a third (Wolverhampton) embracing the north, whilst two more were added (Cardiff Valleys and Central Wales) in 1923. 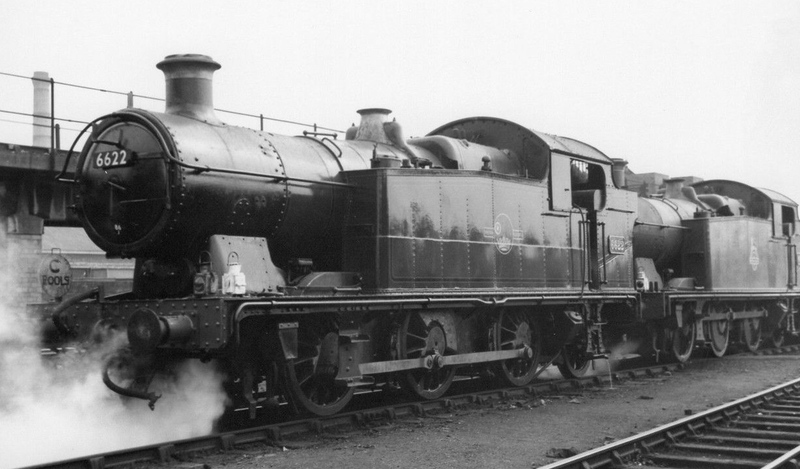 The Great Western's 56xx (based partly on the Rhymney's "M" class with tanks, cab and bunker from the GWR's own 42xx) epitomised steam traction in South Wales with most of the 200 representatives allocated there. However to the end, the 42xxs remained dominant in the former GWR territory (Newport, Tondu and Vale of Neath) and the 56xxs in the Cardiff Valley district. Newport Locomotive District was recognised as the largest under the nationalised regime with over 650 steeds within its allocation. The Cardiff Division freight revenue as recent as 1978 was equal to the rest of the Western Region's total or half that of the LMR. Again in 1978, one sixth of the total BR wagon fleet was based in South Wales. Torpantau was the highest tunnel on the system, Severn tunnel the longest. The Great Western was the largest UK port owner, Milford Haven the second deepest natural harbour in the world. For the Great Western Railway. For the Ely Valley Railway. For the Newport, Abergavenny & Hereford Railway. For the Whitland & Cardigan Railway. History of the Great Western Railway Vol 1 1923-1928, Vol 2 1930=1939 & Vol 3 1939-1945. Peter Semmens, Guild Publishing. 1981, 1985 & 1986 repsectively. Great Western Way. 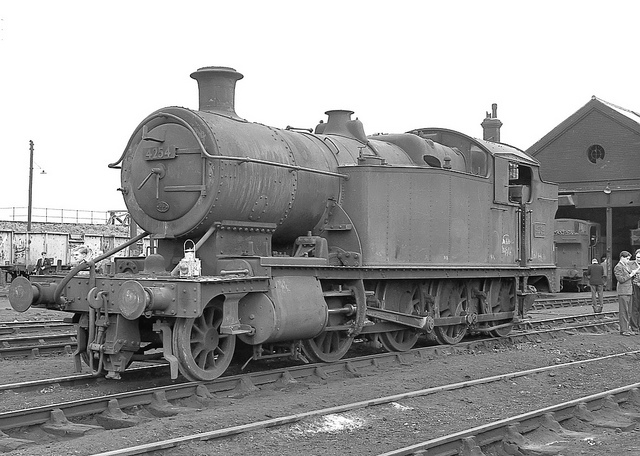 J.N.Slinn, HMRS, 1978. ISBN 902835 03 3. GWR Iron Minks. J.H.Lewis, M.E.M.Lloyd, R.C.Metcalf, N.R.Miller, HMRS, 1980. The Golden Valley Railway. C.L.Mowat, Cardiff University Press. 1964.